Parking/Garage(required) Would Like YES; A MUST! NO; THANKS! Altoria is a high-end construction on Viger Ave. just off Square Victoria, and next to the Montreal Stock Exchange tower in the City’s financial district otherwise known as the International Quarter. The building has commercial units on the lower floors which become residential as of the 10th floor. The condos nearly all have some views, and many of them have excellent 180 degree views of the surrounding area with most of Montreal’s landmarks within line of sight. The original Tour des Canadiens is located on the corner of Mountain (de la Montagne) and de la Gauchetiere streets. The Tour des Canadiens 2 which is currently in pre-sale will be located on the corner of Peel and St-Antoine streets just south of the Bell Center and in a development which will be known as the Windor Quad in reference to Windsor station, the original name for Montreal’s central station. Roccabella is a twin tower residential construction located on Rene Levesque street between Peel and Crescent in the heart of Downtown Montreal. It is beyond doubt one of the most ostentatious new constructions in the City. Its location at 1300 Rene Levesque West puts it right in the heart of Montreal’s Downtown core, its financial district, the world famous underground city, the new Griffintown neighbourhood, and the Old Port. The units are generally well located for views of the city or towards the river. The first tower is now complete and occupancy has started but the second phase will not be finished until 2018. One bedroom units are usually listed between $400,000 and $600,000 whereas two bedroom units start in the low $600,000’s with the penthouse units likely to be put on the market between $2,000,000 and $3,000,000. The Southam Lofts are ideally located between the Old Port, the Financial District, and the Downtown Core. They are a conversion from one of the industrial constructions in the area. By any standards the Southam Lofts has an excellent standard of finish. It has a gym, a games room with a pool table and other items for entertainment, and a large rooftop terrace with amazing views of the surrounding buildings. The units in the Southam Lofts are not all Lofts as many people have elected to place a wall and either partially or totally close off the bedroom(s) for greater privacy. However the general concept it that these units were originally designed as open plan and the interior design in in keeping with the calssic New Yort Loft Style with large industrial style windows. The Southam Lofts has the particularity of having an access on two different streets. The address of the building is 1070 Bleury but there is also an access on St Alexandre street in between the Wilson Lofts and the Gillette Lofts. One bedroom units are usually listed between $300,000 and $500,000. Two bedroom units are rare in this building as many are open plan but if we are to consider those units with a layout that would enable two bedrooms to be installed, these would be over $500,000. The Gillette Lofts is a Loft style condominium conversion project renovated and transformed from a 1911 industrial building to a 21st century residential building in 2010. The units are of a high standard and are known for their concrete floors, though it should be noted that many floors have been finished with hardwood floors since then. The units are Loft style condos with 11 foot ceilings or more. The windows are generally very large and make the units very bright and comfortable to live in. The building is located in what is known as the International Quarter which is next to the financial district. It is ideally located for those wanting to avoid a long commute and just walk to work and also for potential investors looking for a good ROI (return on investment) through renting the unit. The building is well managed and in good condition. One bedroom units which are usually open plan will start in the high $200,000’s and larger two bedroom units (which are also often open plan) will be listed between $500,000 and $700,000. Altitude Condominiums is one of Downtown Montreal’s most prestigious addresses. Located literally right accross the street from one of the Citys’ best known landmarks, Place Ville Marie, it is a mere 5 minutes walk from McGill University, and is just accross the road from the nearest access to the famous underground city. The building is attractive from the outside as well as from the inside. Its most distinctive features include large windows and private balconies. The units have a high standard of finish, high ceilings, and well designed modern kitchens. Amenities include a large gym, a billiards room, an indoor pool, hot tub and sauna, a party room with a bar and tables and chairs, a golf simulator, a wine cellar room and a home theatre room. There is also 24/7 doorman service. Units in Altitude usually sell for a high price per square foot, starting in the low $300,000’s and finding their way to over $2,000,000 per unit. The building Le Roc Fleuri is a very high-end building in Montreal’s Golden Square Mile. Located between McGill and Concordia Universities, it has a 24/7 doorman service, an indoor swimming pool, a jacuzzi, a gym, a meeting or party room and a large outdoor terrace. Le Roc Fleuri has a very distinctive facade. With a few high end businesses on the ground floor, its most noticeable feature is the large rounded bay window on its South East corner directly below the DeMaisonneuve Boulevard entrace. In spite of the existence of this entrance, the buildings actual entrance is on Drummond street, which is also where the entrance to the indoor parking is. The units have hardwood floors and granite countertops in the kitchen. Views and orientations are either of the city and/or the mountain (Mont Royal). The area has several up market restaurants, cafes, specialised stores and large department stores such as Holt Renfrew and Ogilvy’s. Prices will start around $400,000 for two bedroom units (there are no one bedrooms) and go up to $2,000,000 for penthouse units. Westmount square is a large real estate development and is famous as one of the last works of German Architect Ludwig ‘Mies’ Van der Rohe. Westmount Square it a landmark in Westmount and Donwtown Montreal and is a sought after building to live in thanks to its easy access to its own shopping mall and surrounding buisinesses including the boutiques of Greene Ave. It also has an underground access to Place Alexis Nihon which is a large Shopping mall on Atwater. This tunnel also leads to the Atwater metro or subway. As a co-op or ‘undivided co-ownership’ as it is known in Quebec, Westmount square requires a substatial equity share so a mortgage over 70% is difficult, nigh impossible to achieve. The District Giffin project is located at 235 Peel street which is the heart of the Griffintown area, Downtown Montreal’s new residential condominimum neighbourhood. With many stores opening in the immediate vicinity including a Winners and an Adonis grocery store, this building is right in the centre of the area and promises to be a good investment for any new owner. The District Giffin is a high rise with 19 floors and a rooftop swimming pool and terrace with amazing panoramic views of the area and the Downtown core skyscrapers. The Griffintown neighbourhood has an abundance of amenities, nearly all of which are located on the 4th floor. The indoor amenities are a gym, a fireplace and common area lounge, a dry and a wet sauna. The outdoor amenities are a large sky garden, a terrace with a hot tub, a giant chess board, hammocks, a botche (petanque) pitch as well as the pool on the rooftop that was mentionned earlier. Most units have a balcony which is a refreshing change from the idea that residential Condos in Montreal don’t need an outdoor space on account of the weather. They have engineered hardwood floor, quartz countertops, and large windows. Due to the ‘L’ shape of the building, many of the condos are corner units which makes them very bright. One bedroom units are usually listed between $200,000 and $300,000 and two bedroom condos can be expected to start around $400,000 and up depending on the sizes and the views. The Lowney project is a multi-phase development with many addresses such as 350 de l’inspecteur, 400 de l’Inspecteur, 1015 William and 950 Notre Dame West. Originally a chocolate production factory in what was the industrial district of Griffintown, the original buildings have been refurbished and transformed into residential condos with new phases being built from scratch but still using the original Lowney name. Le Peterson has been literally making waves as a new type of external design hit Montreal at the end of 2016. Delayed on several occasions, the first Condos were delivered towards the end of summer 2016. The building has been a great success overall with nearly all of the Condos sold (with the excpetion of the Penthouse units which are in a category of their own and are about 50% sold as of the end of 2016). Located in the Quartier des Spectacles in the heart of Downtown Montreal, it is the area’s tallest building at 35 floors high. Le Peterson’s main selling point is its amazing views with most units having at least some views over the Montreal rooftops either facing East but mainly facing south. The Le Peterson’s wall facade is flat, but the balconies have curved designs which gives the impression of an ondulated or ‘wavy’ design from afar or looking up from the ground. The lower floors are loft style units with mezzanines and double height windows. There is much additional volume in these units but few have any of the views that are expected from this building. As of the10th floor (equivalent) though, the units are more condo like with today’s standard 9ft ceilings and the balconies that are such an important design feature of the building. The heigher the unit, the more panoramic the views with the Penthouse units dominating the area with views of the river, and the Dowtown towners. The building’s amenities are interesting as almost half of the ground floors’ square footage has been make into a lounge area with a pool table and foozball tables as well as many tables and chairs. It looks like a high end bar but it is meant for residents only (though guests are allowed in of course). The other interesting common area is the viewing deck on the 28th floor which is accessible to all residents and offers 180 degree views of the area looking south. This has the advantage of not being a roof terrace so it is covered and not exposed to the elements (so can potentially be used all year round). It also has a large climbing wall for those who enjoy such activities… from this high up it can really give the the impression of being on the side of a moutain. One bedroom units can be expected to start around $300,000 and two bedroom units are available from $450,000. As this is still a relatively new building, the prices will have to settle over the next couple of years before we get a better ideal of their value on the resale market. “Le Concorde’ is one of Downtown’s most sought after addresses. Located right between Place des Arts and McGill Subway stations on practical, yet comparatively quiet President Kennedy Avenue, the building is well known for its large windows, bright units, excellent soundproofing and 24/7 concierge/doorman service. It is a top location for those with busy city lives and as a result attracts many professionals. Although as the closest modern and high end condo building to McGill, it inevitably attracts a lot of Students. With only 125 units, it is more neighborly than larger buildings. Excellent views, especially from the higher units, This building has some of the largest private terraces in the city. The 1200 De Maisonneuve is a high end building in the Golden Square Mile, just around the corner from the Grand Prix festival on Crescent street. The latter boasts many fine restaurants, bars, pubs and clubs and also hosts a street festival in the second half of summer. The 1200 De Maisonneuve is a twin tower residential complex. It is self-administrating, has a large and ostentatious lobby with a doorman, a gym, a sauna, and an outdoor heated pool and terrace. It is located right between Concordia and McGill Universities and is one of the most sought after addresses in the City. It is just one block away from an access to the Peel Street subway station and only two blocks from the Cours du Mont Royal shopping mall which is also part of the famous underground city. Condos in the Louis Boheme usually start around the mid-$300,000’s and go up to $800,000. Occasionally more. Les Cours du Mont Royal is a luxury building located right about the underground shopping mall bearing the same name. The latter contains mostly high end stores but also connects to the rest of the vast network of tunnels that form Montreal’s Underground City. Les Cours du Mont Royal was built with a rather ornate facade in the 1980’s. To this day it still attracts an affluent type thanks to the easy access to the underground city, its amenities that include an indoor pool and a squash court, and its prime location in the heart of the City. The condos can be purchased or rented and are usually large (between 800 and 1500 square feet) very open and practical with attractive entrances. It is possible to find a condo for sale around $350,000 or more but prices usually vary between $450,000 and $700,000. The Lofts St-James is a turn of the century building refurbished in 2002. It was one of the first quality buildings in Downtown Montreal’s most recent construction surge. Originally designed as an office building in Montréal’s Fur District, its beautiful facade has been kept and upgraded, new windows have been put in, and all the walls were torn down. The much thicker concrete of the day was kept which improves sound proofing, and new large divisions were created for the 12-14ft ceiling lofts. A gym and roof terrace were installed which offers panoramic city views. Just this year, the gym was upgraded and the corridors were re-painted and re-carpeted to give a more modern look. The units are large with real hardwood floors and plenty of storage. Some of them still have their original open plan ‘loft’ design whereas others have had partitions installed to use the huge space available to create bedrooms and offices. Located just north of St Catherines street and a few minutes walk from McGill University and the underground city, this is exactly where a downtown resident would want to be. Because of the relative age of the building (and by consequence the lower prices at which original buyers purchased) prices per square foot can fluctuate enormously. However the smaller units (around 650sqft) can be found for just over $200,000 and pricier units over 1500 sqft with two bedrooms and views over the St James Church after which the building is named, can be found for between $500,000 and $800,000. Most units are priced between $300,000 and $400,000 however. Although originally designed as open plan lofts, units in the Wilson Lofts can usually be made into 1 or 2 bedroom units if required (or if a previous owner hasn’t already done so). The 1 bedroom units usually start a little over $300,000 and the 2 bedroom units will be closer to $500,000. The Unity building will appeal to those looking for a classic loft style property which is also in keeping with current trends in terms of internal appearence and finishing. Typically units in the unity building will be of a high-standard and have either hardwood floors or a polished concrete finish. Worthy of note in this building are the extraordinary windows. The new ones having been crafted at great cost to resemble the older ones from the industrial ear they replaced during the refurbishing of the building in 2005-2006. Although one could be forgiven that these are the originaly windows from this 1920’s construction, in fact they were painstainkingly re-created and assembled to current standards with double glazing. Located in Downtown Montreal’s financial district, this building is a few minutes walk from the Stock Exchange building, the heart of the Old Port and a 5 minute walk from the Place des Arts and the Downtown core. McGill University is just over 10 minutes walk. It is possible to walk to the underground city in less than 3 minutes, from there the Downtown core is a 10-15 minute walk through the tunnels which is great for winter time. The Lofts des Arts is an older building that was refurbished in 2010. As its name suggests, it is composed of loft style units, many of which have views of Downtown Montreal and overlook the Place des Arts and also happen to be those with a South West exposure. The Condos or Lofts have high ceilings and an industrial look mixed with a typically mondern finish. The large windows make these units bright and welcoming. The building itself has an elegant lobby. Residents can also enjoy a rooftop terrace, a gym, and an outdoor swimming pool. Although located on St Laurent street, the actual entrance is on 1625 Clark. This makes the environment near the entrance much more secluded and intimate. However the summer months will hose the Jazz festival and the Francofolies music festival which require some tolerance for residents. These don’t play after 11pm so no sleep will be lost. The neighbourhood is the Quartier des Spectacles and is adjacent to the Latin Quarter. This is a vibrant neighbourhood with lots of character. The St Laurent subway station is just a few minutes walk away with easy access to the Downtown Core. 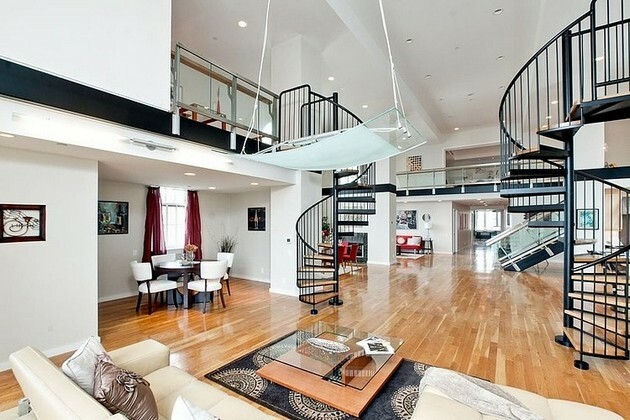 Asking prices for condos for sale in the Lofts des Arts start around the low $300,000’s and go up to $1,400,000. Most however are between $400,000 and $600,000. Le Séville is Prévels big project for Downtown Montreal. it was put on the market in 2010 and the first deliveries were in 2013. With over 300 units, the Prevel development is composed of a large base bade of a full street block and three towers, the tallest of which is 20 floors and has fantastic panoramic views. The condos have a modern and functional layout with an efficient use of space. They boast engineered hardwood floors, quartz countertops in the kitchens and large windows. The amenities are possibly the best in the city with three outdoor pools that open for summer and a fourth which is outdoor with an access from indoors and is heated and operated all year round. There is a gym, a spa, a sauna, several rooftop terraces and a common area lounge. Locationwise, Le Seville has an ‘Adonis’ grocery store located in the building which is more than enough for everday foodstuff. The nearest subway is Atwater and an indoor shopping mall called Alexis Nihon also has a food court. The buy-in price at Le Seville is unlikely to be lower than $200,000 and several units can be found between $500,000 and $1,000,000. Living in the Lofts St-Alexandre puts you right in the heart of Downtown Montreal. Located just south of St Catherine’s street at 1200 St Alexandre. This is the commercial heart of Montreal and is also right next to the arts district of Le Quartier des Spectacles. This building was delivered in 2010 so can still be considered a recent build and has extremely low condo (strata) fees. The condos or lofts have a very industrial look on the inside with exposed pipes, concrete and ventilation and at the same time quality finishings such as granite countertops and engineered hardwood floors. The units also have large windows and high ceilings. The amenities are arguably this buildings best asset with a sauna, an outdor heated pool on a rooftop terrace with a BBQ and City views, a gym (again with city views) and a games room with a ping pong table, a billiards table, an air hockey table, a foozball table and a home theater. Condos in the Lofts St Alexandre are accessible to most budgets with asking prices starting around $200,000 for studios and ending in the high $700,000’s for larger two bedroom units. Les Cours du Mont Royal is a luxury building located right about the underground shopping mall bearing the same name. The latter contains mostly high end stores but also connects to the rest of the vast network of tunnels that form Montreal’s Undergroud City. Les Cours du Mont Royal was built with a rather ornate facade in the 1980’s. To this day it still attracts an aflluent type thanks to the easy acess to the underground city, its amenities that include an indoor pool and a squash court, and its prime location in the heart of the City. The condos can be purchased or rented and are usually large (between 800 and 1500 square feet) very open and practical with attractive entraces. It is possible to find a condo for sale aroudn $350,000 or more but prices usually vary between $450,000 and $700,000. The Manhattan at 1625 Lincoln Ave. is a tall building in the heart of the city with many great views. Its most obvious advantage is its location right next to Concordia University and the Guy Subway station. Built in the 1980’s it has a gym, an indoor pool, and a tennis court. Nearly all the condos have a balcony and all of the apartments have an indoor parking spot. Most units have at least some views of either the City or the Mountain (Mount Royal) and the building is close to several grocery stores, restaurants, cafés and the nightlife of Crescent street. The corridors have recently been refurbished and there is a security guard at the entrance. The Manhattan is a great opportunity to purchase a downtown unit and to renovate it. This would still result in a combined value per square foot that is much below comparable newer buildings. One can find condos for sale in the Manhattan starting around $250,000 and going up to $600,000 depending on the general condition of the unit (renovated or not). All the condos in the Manhattan include a parking space. Place Simpson is a landmark of the Golden Square Mile, the upmarket neighbourhood of the City near the high-end stores and museums which was where all of Montreal’s bankers used to live. This building is from the 1960’s but as been through several upgrades. Currently the amenities are a gym, a sauna, a common area garden and an indoor pool. There is also a doorman service. The units are either updated with modern kitchens and bathrooms but sometimes in rather poor condition comparatively. Ultimately the price will reflect the condition of the unit. Places Simpson is located roughtly 5 mintues walk from Concordia University and just over 5 minutes from many of the McGill University faculties. The Guy subway station on the green line is also just 5 minutes walk away. Some of the small studio and one bedroom units can be found for just over $150,000 and the larger two bedroom units will sell for between $300,000 and $400,000. What are the differences between new build and resale properties? We all like something new… even if we didn’t chose the colours and fittings, its still great to know that we are the first ones to live in a unit. In addition to that, the units are often influenced by the latest trends in terms of layout and appearence. Modern units usually make better use of the available floorspace than older units. But is this really worth it? In terms of value for money, a resale unit often represents a much smarter purchase. More often than not, a new construction purchased ‘off-plan’ will be around 10% more expensive than its resale equivalent. This has more to do with a sharp increase in the price of commodities over the past decade than anything else. If you were to purchase a resale unit that is between 5 and 10 years of age, and fully renovate it exactly as you want it to be, chances are you will still be spending less than with an equivalent newbuild. What’s more, newbuild properties have what is referred to as the ‘gross’ square footage whereas resale units are required by law to advertise the ‘net’ square footage. If you purchase a 1000 square foot condo directly from the developer, you may expect at least a loss of 8% of the square footage by the time you get the ‘legal’ square footage. Why is this important? Because when you want to sell, you will have to declare the legal square footage. Failure to do so may result in the buyer either withdrawing from the sale or, if they find out after the deed is signed, result in you, the seller, being liable for the difference between the declared ‘gross’ and actual square footage. This is something that the builder is not under any legal obligation to do. In Quebec, a developer is allowed up to 10% ‘variance’ between the ‘gross’ and the ‘net’ square footage. There is no legal ‘black and white’ as far as this goes, this amount is based on having interviewed a selection of lawyers, disgruntled buyers who have sought legal advice, and notaries. This does not mean that in any specific case the 10% disparity would be used as a baseline, it just makes it unlikely that any worthwhile compensation will be paid should it be any less. The most important thing you need to know in all of this is that it is NOT legal for you to re-sell on the basis of the ‘gross’ square footage. You MUST declare the net square footage. What are the differences between the Real Estate system in North America and in most other countries around the world? The system in North Amercia varies from State to State. In Canada, every Province has its own laws, but they all have laws regulating Real Estate Professionals and the Agencies for which they work. As a foreigner, all you need to know is that you must choose who you wish to work with as an indivitual, that is find an agent/broker with whom you can communicate properly and appears to have the necessary knowledge to help you find a property in the area you are looking at. You don’t need to use several brokers/agents as this could be very confusing, and could result in your seeing the same property twice or even three times as a different broker may not know what you have already seen. This could lead to awkward situations. Why would I want or need to list with a Real Estate Broker? A Real Estate Broker is an individual who has received a license following what is now an intensive course allowing him or her to assist a member of the public in the purchase or sale of an immovable (thats a property in layman’s terms). This Real Estate professional should have a good knowledge of the area and of the value of Real Estate. This professional has access to a lot of data that enables him or her to give an accurate evaluation of the value of the immovable. If you were to list WITHOUT this kind of advice and knowledge, one of three things can happen. 2. You can encouter a plethora of legal problems which may result in failed closings, lawsuits and compensations to the buyer. On a property worth $400,000 you would never know if you could’ve sold for $20,000 more or less. Even if this excess only covers the fees of the Broker, it still means you don’t have to do any work that you otherwise would’ve needed to do. And you can believe it that it takes many hours of work to sell or rent just one unit. People who try to buy a property without an agent are not looking to give you more money. In fact, they will use the absence of an ‘Agent’s commission’ to justify a lower price. Whats more, people who use Real Estate Brokers to assist them in the purchase of a property are usually too busy to look by themselves because they are busy with their respective careers. They need to purchase using a Real Estate Broker because its faster. They are usually wealthier than those who try to find a property without the help of a professional. Listing your property with a Real Estate Broker will give you access to a huge part of the market which is not only in the higher income bracket, but that would otherwise be inaccessible. What is the OACIQ (Formally the ACAIQ)? The OACIQ or Organisme d’Autoreglementation du Courtage Immobilier du Quebec is a self-funded government body with the authority to regulate the Real Estate Professionals in the Province of Quebec. Their assigned task is to protect the public by providing brokers with the necessary training and know-how to perform their tasks. They ensure compliance with disciplinary actions that can go from a short suspention of the brokers’ license to a lifetime ban. Members of the public are encouraged to contact this body should they have any reason to believe that their Real Estate Broker/Agent failed in his or her duty to inform you, the client. 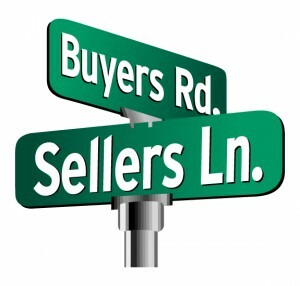 Are there any differences between brokers/agents or is it all the same so long as my property is on the MLS? Real Estate Brokers can have all sorts of skills, they may have superior knowledge in commercial, investment or residential properties. 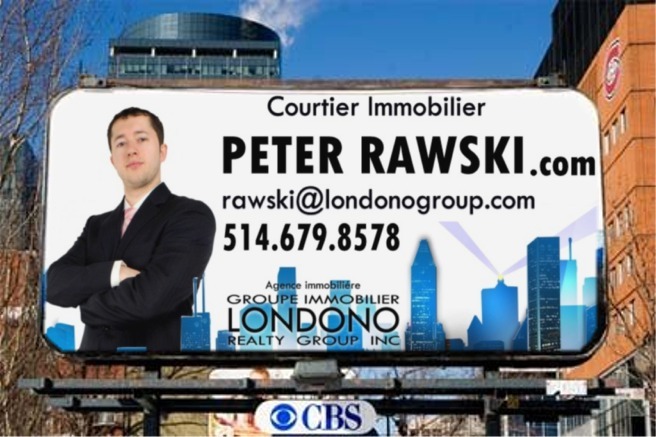 Legally speaking they can sell anywhere in Quebec, but lets face it, it would’nt be smart for you to use a Gatineau based Realtor to sell your condo in Quebec City now would it? Comparaisons don’t have to be that obvious. Montreal is a 3.5 million people city…. If you are a realtor who lives and works in St Leonard on the east island, it would be a fair assumption that you probably don’t know as much about real estate in the city as a broker who works and lives right there. Most people don’t pay too much attention to these details and allow a family friend or the Realtor they used to buy their property to list without actually evaluating their ability to effectively sell the property for the best possible price. So in many ways, the answer is yes, you can sell just by listing on the MLS, but will you get the best price if this is the only thing your agent is doing? Do I have to pay the broker/agent if I am a buyer? Absolutely not! 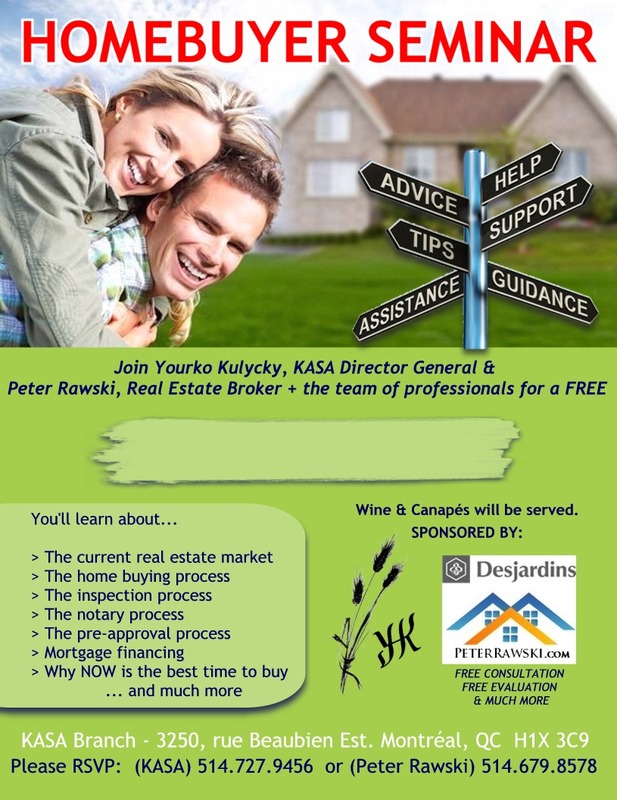 Any Brokerage fees associated with the sale are paid by the seller, not the buyer. The second is the fee payable to the Notary which is around $1200-$1300. The Third is the dreaded and rather unaptly named ‘Welcome Tax’ which is roughly 1% of the value of your purchase and is payable within one or two months of the date of the transfer of the deed. This is a tax that is levied by the City of Montreal and is a one time payment. How much is the ‘Welcome Tax’? The break down of this tax is 0.5% of the first $50,000, 1% of the amount between $50,000 and $250,000 and 1.5% for any purchase between $250,000 and $500,000. Anything in excess of $600,000 would be taxed at 2% and only on the Island of Montreal. Anywhere else in the Province of Quebec, the welcome tax is capped at 1.5%. Montreal is a city with many prominent universities and a large student population. In fact, it is second only to Boston for having the most students living in its Downtown core. As a result, the student population represents a significant market share of the rental market in Downtown Montreal but also a large part of the buyers market. In addition to housing the well known English universities of McGill and Concordia, and the prominent French universities of Universite de Quebec a Montreal (UQAM) and l’Universite de Montreal, Montreal also has a several Cegeps (which are unique to Quebec and act as a college) and colleges like LaSalle College, Dawson and Vieux Montreal Cegeps – to name but a few. There are all sorts of accommodation near McGill and Concordia Universities in Montreal’s downtown core. The main buildings you would need to look for are Le Roc Fleuri, 1200 De Maisonneuve, Sir Robert Peel, Le Delano, Place Simpson as well as Imperial House and Le Drummond en Haut. Near McGill, but somewhat further from Concordia, are Altitude, Le Louis Boheme, Le Concorde, Le Lofts St Alexandre and Les Lofts St James. All these buildings have a gym and security and some of them have a pool, rooftop terrace and sauna. For UQAM, buildings such as the Lofts des Arts and the Lo Gothé are much better suited whilst still close to a subway (St Laurent on the Green line) and within a short walk of the underground city and Place des Arts. In addition to these buildings, a neighbourhood known as the McGill Ghetto located adjacent to the trendy “Le Plateau” neighbourhood is very popular amongst McGill students, due in part to its proximity to campus (it is located just across the road from the main Campus). This area has also some impressive heritage buildings and some of very old properties (sometimes over 100 years old) and is also popular with professionals working in the city due to its proximity to the main business district. It is possible to be less than a 1 minute walking distance from the entrance on University Street and a 5 or 6 minutes walk from the main campus. There are many opportunities to purchase more affordable properties in this area. All these buildings regularly have properties for sale or for rent. IS IT BETTER TO BUY OR RENT FOR A STUDENT ON A FOUR YEAR COURSE? a capital gain of $40,000. Renting the same property would cost $1,500 per month or $18,000 per year or $72,000 lost over 4 years which is partially offset by an interest on $300,000 at 2% (secure account) of $6,000 a year ($24,000 over 4 years) so 72,000 – 24,000 = 48,000. Rental accommodation would therefore be a net loss of $48,000 over four years or $12,000 a year in contrast with a gain of $16,000 for ownership. Even if there are many costs associated with ownership and the re-selling of a property, these will never come close to the $64,000 disparity between both case scenarios.